Life is good in the Denver real estate market. As one of the most stable markets in the United States, Denver continues to fire on all cylinders in 2016, with appreciation rates skyrocketing, employment rates improving, and new housing construction booming with every new quarter. So far in 2016, the median home price for the Mile High City is $369,000, compared to the national average of $215,767, and $30,000 more than the same period in 2015. All signs point to a robust market in 2016, as home prices for the Denver real estate market are forecasted to out-gain most of the nation in the next 12 months. Homes purchased in the Denver real estate market one year ago have appreciated, on average, by $8,773. The national average was $15,781 over the same period. Homes purchased in the Denver, CO housing market three years ago have appreciated, on average, by $40,574. The national average was $49,356 over the same period. Homes purchased in the Denver real estate market five years ago have appreciated, on average, by $98,173. The national average was $68,727 over the same period. Homes purchased in the Denver, CO housing market seven years ago have appreciated, on average, by $121,541. The national average was $59,758 over the same period. Homes purchased in the Denver real estate market nine years ago have appreciated, on average, by $3,099. The national average increased $16,435 over the same period. The Denver real estate market appears to be in good hands. With appreciation rates increasing like we’ve seen in the past nine years, it’s become clear that Denver real estate investments are on their way up. Conversely, the number of foreclosure filings in the first quarter of 2016 fell 16 percent compared to the same period in 2015, according to RealtyTrac. Despite home auctions falling 18.6 percent from the previous year, Denver real estate investors saw the number of auctions in June rise 9.7 percent from the previous month, while bank owned properties (REOs) dropped 5.0 percent, compared to the previous month and 9.5 percent on the year. 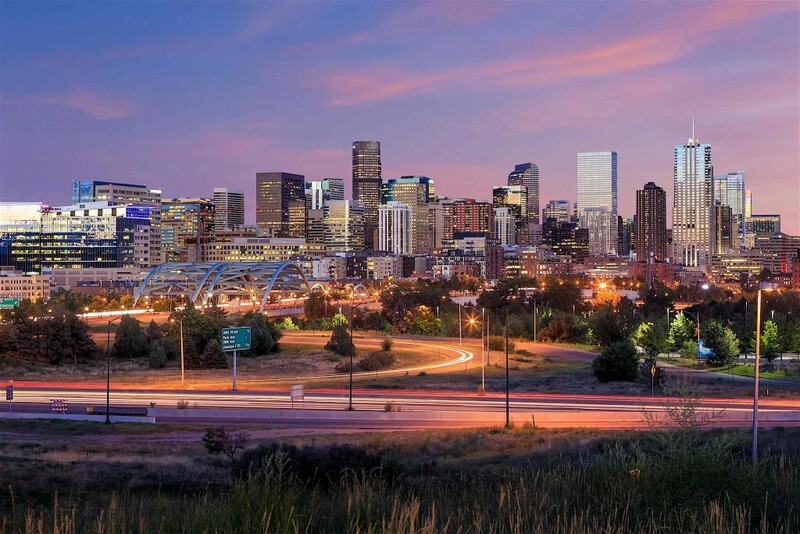 The first quarter of 2016 has been very rewarding for Denver investors and homeowners. Along with blossoming appreciation rates, the Denver real estate market continues to made headlines as one of the hottest housing markets in 2016, with Realtor.com ranking the rising city as one of the best housing markets in their annual market performance list. If that wasn’t enough, the National Association of Realtors identified Denver as one of the top 10 purchase markets for millennial homebuyers. Highlights for Denver’s real estate market don’t look as if they have a ceiling. Along with mouth-watering appreciation rates, the current unemployment rate during the first quarter of 2016 was 3.3 percent compared to the national average of 5.0 percent, and 1.1 percent better than the previous year. However, the cherry on top was the 3.1 percent increase in the one-year job growth rate, which was 1.1 percent higher than the national average, showcasing Denver’s improving economy. Another positive for the Denver real estate market is home affordability. For the first quarter of 2016, homeowners paid approximately 13.9 percent of their income to their mortgage payment. This is not only less than the national average (14.5 percent), but a slight decrease from their historical average of 14.2 percent. Despite investments growing in Denver’s real estate market, home affordability in the Mile High City continues to be one of the more affordable in the nation. New housing construction in the Denver real estate market continues to experience massive growth. The current level of construction is 81.6 percent above the long-term average and the number of single-family housing permits in Q1 increased 24.0 percent, compared to the national average of 11.3 percent. That bodes will for Denver investors, homeowners, first-time homebuyers, and renters. Moving forward, big things are expected from the Denver real estate market. The National Association of Realtors forecasts home prices for the Colorado real estate market to increase 6.0 percent, compared to the national average of 3.9 percent. Home prices in Denver are anticipated to experience higher growth in the next 12 months than most markets in the United States.